Availability: Will ship within one week. These direct drive linear motors are supplied with an internal shaft supported by long life linear bearings and an integrated position sensor, eliminating backlash and extra space needed for an external feedback device. While there are many different types of precision actuators, direct drive actuators are the best choice when responsiveness, accuracy, speed, and high resolution are essential. 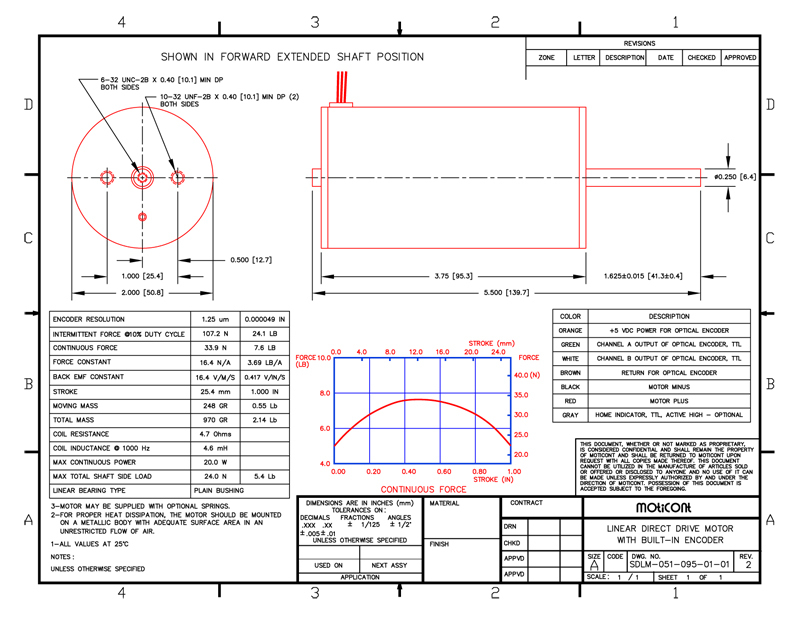 An optical encoder is incorporated within the body of the motor which increases the reliability. 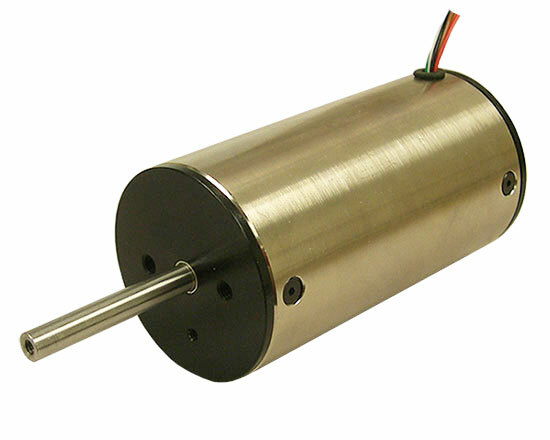 These motors are capable of producing high forces with long strokes in a small form factor, traditionally possible by bulky and much larger actuators using rotary motors in conjunction with some other intermediate rotary to linear conversion methods such as lead screws, rack and pinion or belt driven systems. The non-commutated motor construction increases reliability. The direct coupling of the motor to the load allows for fast acceleration / deceleration and high speed operation. Threaded features are provided on both sides of the motor as well as the shaft, making it possible for the user to mount the motor and payload on either side. The actuator's shaft is prevented from rotation utilizing an internal anti-rotation mechanism. Threaded features are provided on both sides of the motor as well as the shaft, making it possible for the user to mount the motor and payload on either side. These types of motors are used in conjunction with motion controllers for accurate positioning.